Hello everyone! In this article I would like to show you how to give a headbutt. I have received several questions from Krav Maga students around the world in my email about our yellow belt program where it is used the headbutt technique. But many students have problem to give a headbutt because they are not confident with this technique. My suggestion is: if you don’t know how to give a headbutt so don’t give a headbutt during a fight! It is simply! 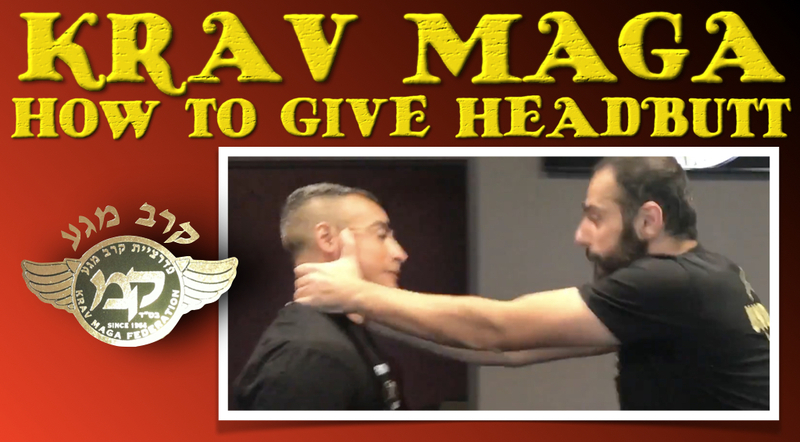 It is important to train this Krav Maga technique then you can try to use it. Practice first! you have to work with your neck too. When you have to give a headbutt you don’t think to give only a headbutt but you must have the total control of your body on your target. now give headbutt to him. hit your opponent eyebrow: easily a lot of blood goes out so he cannot see anymore and for him it will be difficult continue to fight. give him a lot of headbutt. grab his head with your hands (more efficient but he can escape) and give him a headbutt.